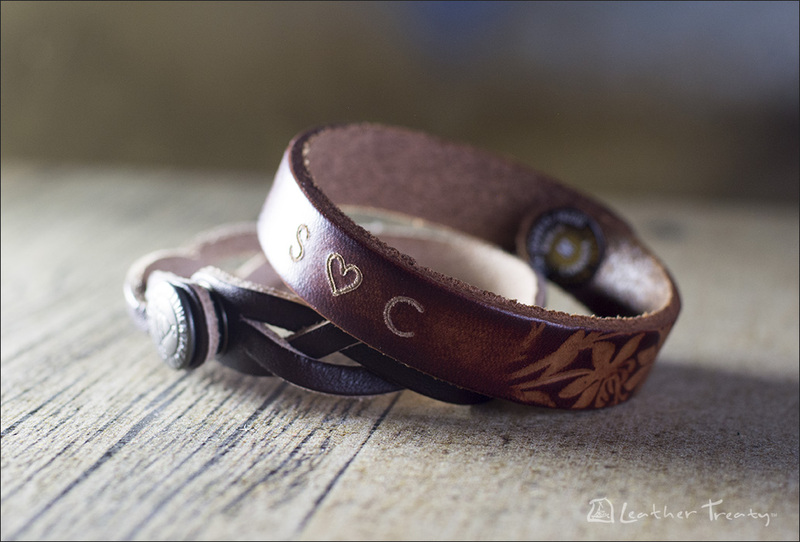 Our custom couples bracelets are the perfect personalized gift idea for any boyfriend, girlfriend, or significant other. With Valentines Day fast approaching, we thought it'd be the perfect time to share some of our most common personalization ideas as inspiration for that special someone out there. Get yourselves a matching couples bracelet set! Engrave each others names on our genuine high quality leather bracelets. Pick and choose from our catalog of custom name bracelets to find the perfect fit for you both. 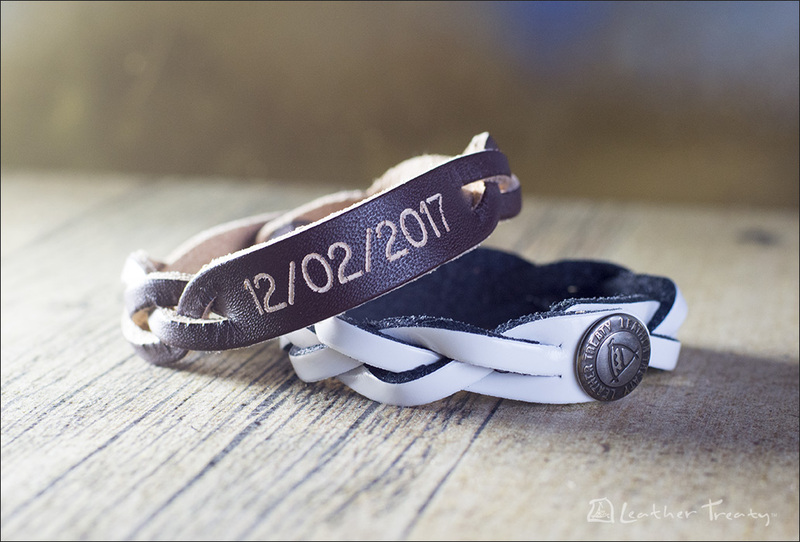 Create a keepsake of a special date by personalizing your own engraved bracelet. Whether it's an anniversary gift or a gift for another date that has meaning to you, make it special and give a gift they'll truly love. Majority of our engraved leather bracelets are perfect to engrave any anniversary or date. Celebrate your love with a custom initial bracelet. It could be just theirs, or both of yours. Take advantage of our customized symbols to make it extra unique. A very popular choice for many couples' gift. Is there a place that has special meaning to you? 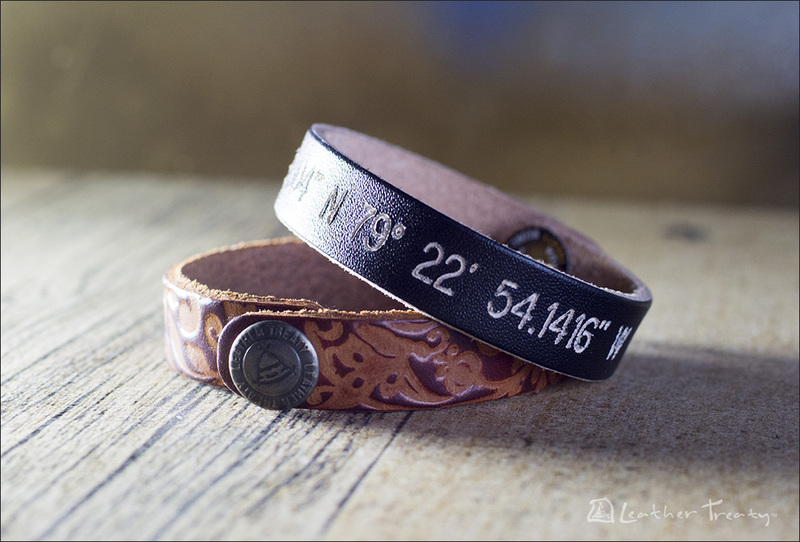 Give the perfect gift by capturing those coordinates on one of our genuine leather custom coordinate bracelets. All of Leather Treaty's products are made with care and a high-quality standard. Only crafted from genuine leather, and made in North America. You only want to give the best to the person you love! Available at an affordable price, don't miss out on our discounted leather bracelets section too! Follow @leathertreaty on Instagram for regular posts and other special giveaways!